A safe and fun way to create mesmerizing giant bubbles. 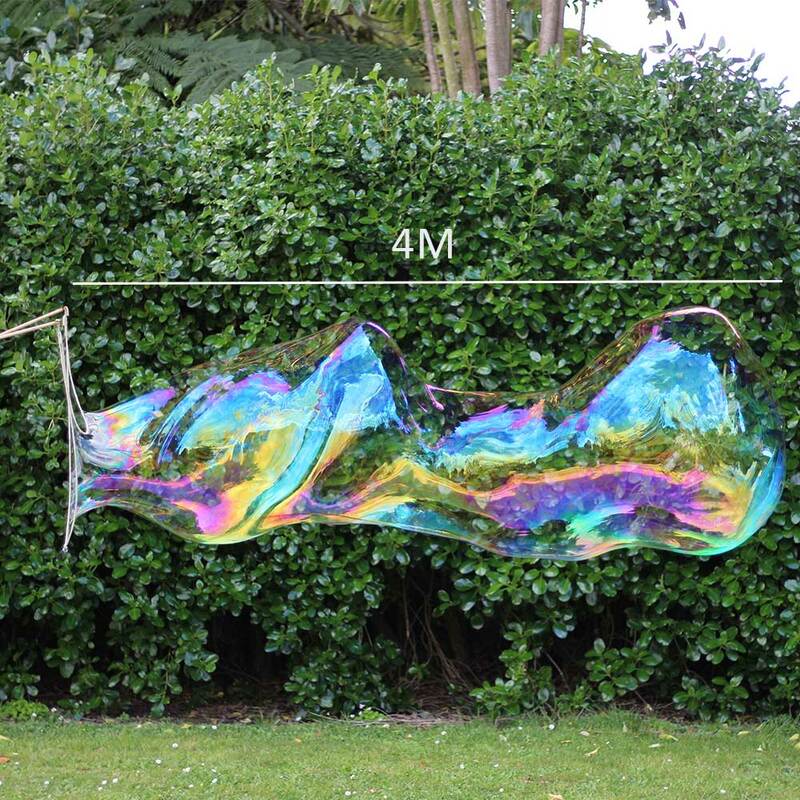 Creates giant bubbles up to 2 meters in diameter and 2 to 10 meters long. Made from sustainably sourced pine dowel and specially sourced, super absorbent, natural cotton rope and fully degradable. Our Intermediate Giant Bubble Wand (900mm) has been designed as the perfect all-rounder. Adults will be able to create huge bubbles while the kids won’t find it too hard. It’s easy to dip and blow giant bubbles with the perfect size pole length to loop size ratio. Hours of fun for your children (or yourself) with the Intermediate Bubble Wand. Best time to create giant bubbles: When the weather is calm and still. You likely won’t notice there is a breeze until you start creating giant bubbles and that is a perfect time. For breezy and windy days, use The Windy Wand. Do you want to make the biggest, most amazing bubbles you have ever seen? Watch your children chase the magic as massive bubbles 3x their size float along with magnificent colours. People will stop in awe and amazement as they witness the hugest bubbles they’ve ever seen. An Intermediate Bubble Wand (900mm) is essential to make big, huge bubbles with our Professional Giant Bubble Juice. Involve yourself in the most magical fun you’ll ever have and create giant bubbles.